Overview: Offroad/Offline Navigation App with worldwide topographic maps (mainly Russian General Staff). For many countries in Africa and Asia these maps still belong to the best available topomaps. 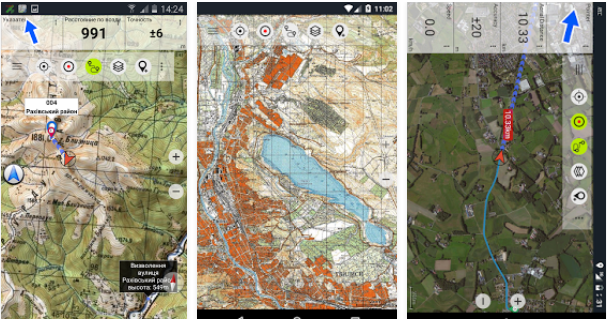 Offroad/Offline Navigation App with worldwide topographic maps (mainly Russian General Staff). For many countries in Africa and Asia these maps still belong to the best available topomaps. Attention: The Soviet Military Maps were created mainly in the 80ies and are less interesting for industrialized countries. Outside Africa and Asia you'll find the OSM / Google map layers more useful. Please note: This app does not provide direct "Turn-by-Turn" navigation - but with a selected waypoint you can easily switch to Google Navigation. Please contact us if you have any questions, feature requests or bug reports regarding this app: [Only Registered and Activated users can see Content. You can browse the Soviet Military Maps here (only up to zoom level 12): [Only Registered and Activated users can see Content. See the coverage of the different map scales: [Only Registered and Activated users can see Content.